How do I “block” an email address on iCloud? Q:How do I block an email address on iCloud? Like my other post regarding “blocking” email addresses on MobileMe, what I’m going to describe isn’t really blocking in the truest sense of the word. Technically, we are using a server side rule to perform this function and you wouldn’t want to use something like this for a large amount of emails. For that we would recommend a good bayesian Junk mail filter like SpamSieve. But this is an explanation of how to make certain that emails from your ex- (boss, boyfriend, girlfriend, assistant) don’t reach your inbox. 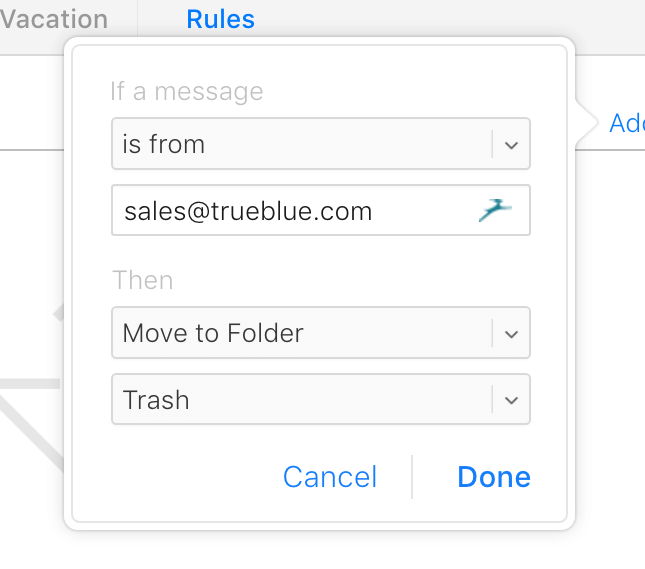 For this example, as mentioned, we are going to be setting up a server side rule to filter a given email address from your Inbox to your Trash folder. This doesn’t delete the message, but it makes it so that it isn’t notifying you of its presence like other new messages. In addition, you can perform a similar function with most email clients, however, as more people are carrying around multiple devices that are accessing their email, it is becoming more important to set up rules like this on servers so that your first line of defense (your mail server, in this case MobileMe) is handling the filtering rather than a later line of defense like a Mail client. In addition, this filter will run independent of your devices so that it isn’t contingent on having your laptop or desktop on to filter your content. We get requests like this a lot and we are slowly going to be posting how to do things like this which will hopefully empower our users (and clients). However, as always, if you should need assistance, never hesitate to ASK. Click THIS LINK to access the iCloud website. Login using your iCloud username and password. 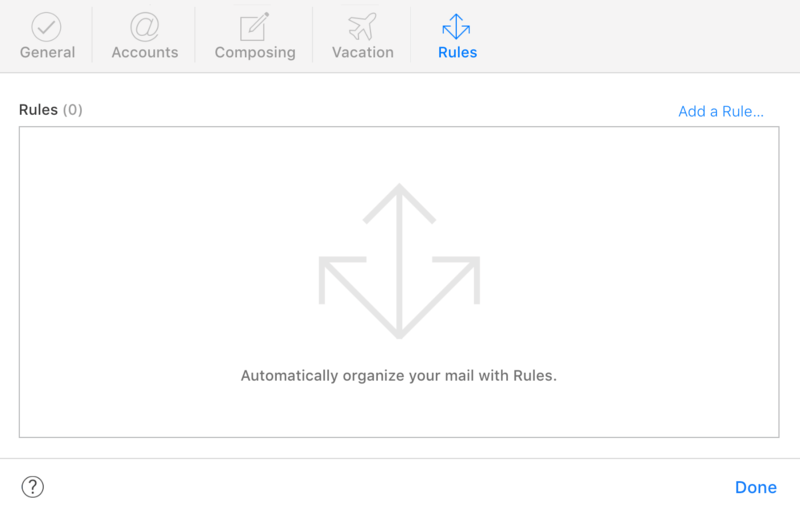 Access the web based iCloud email application by clicking the “Mail” icon. 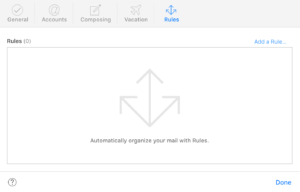 Click the “Preferences” icon in the lower-left corner of the Webmail application and select “Rules” from the pull-down menu. The “Rules” Preference panel will appear. 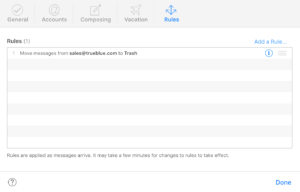 Select the “Add a Rule” button in the upper right hand corner of the “Rules” preference panel. Select “is from” in the “If a message” pull-down menu. Enter the address of the individual whose messages you want moved out of your inbox automatically. 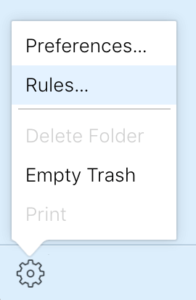 Choose the “Move to Folder” option in the “Then” pull down menu and choose the “Trash” folder in the menu below the “Then” pull-down menu. 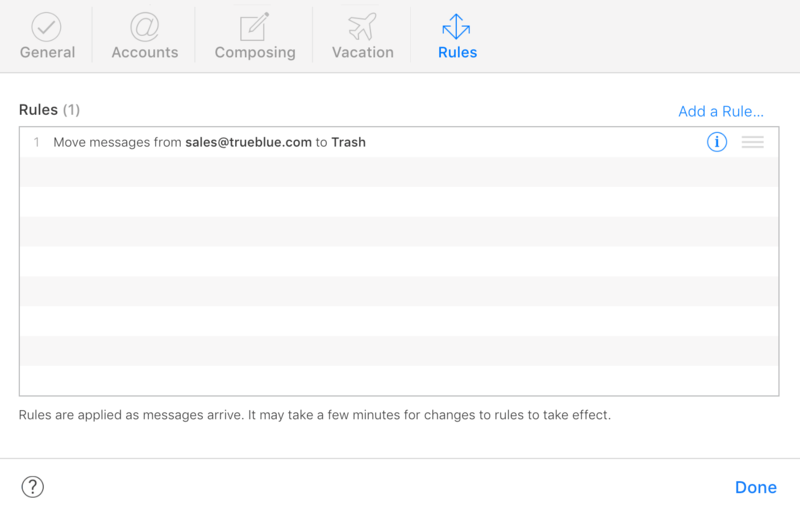 A new line item will appear in the “Rules” preference panel stating that it will “Move messages from” the given address “to the Trash”. Continue to add additional rules for additional addresses. Click the “Done” button when finished adding addresses. 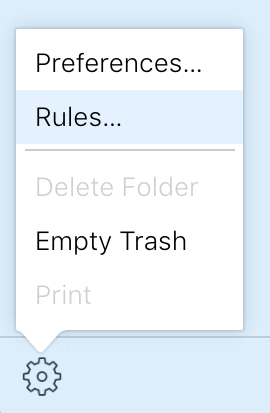 Note that any message coming into your account that matches the rules entered by the user now go directly to the “Trash” folder as prescribed and don’t clutter up your Inbox. That’s it. If you have problems with this procedure and it isn’t working correctly make sure you check to make certain there weren’t any typographical errors with the email address entered into the rule. How do I “block” an email address on MobileMe? 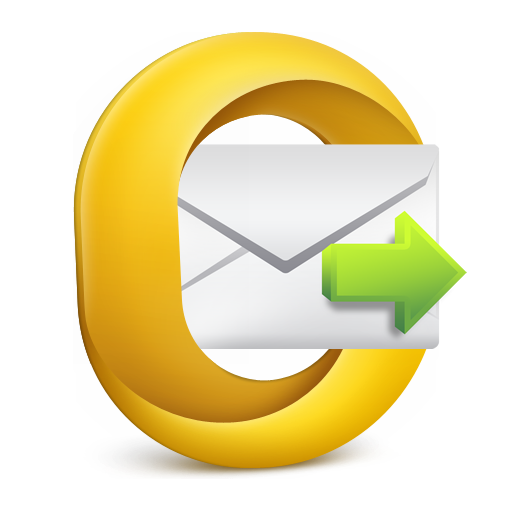 Email Etiquette Recommendations Why am I getting copies (duplicates) of my sent messages in Outlook 2011?